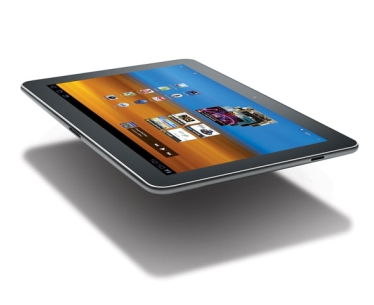 All Wi-Fi versions of Samsung's Galaxy Tab series should have ICS by now, but, as always, carrier connected versions of the devices are left out in the cold. 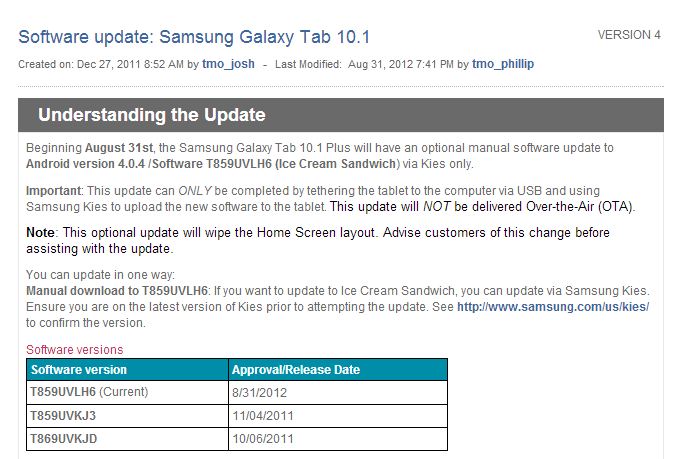 T-Mobile is the only carrier thus far to break that mold when it updated the Galaxy Tab 7.0 Plus earlier this month. 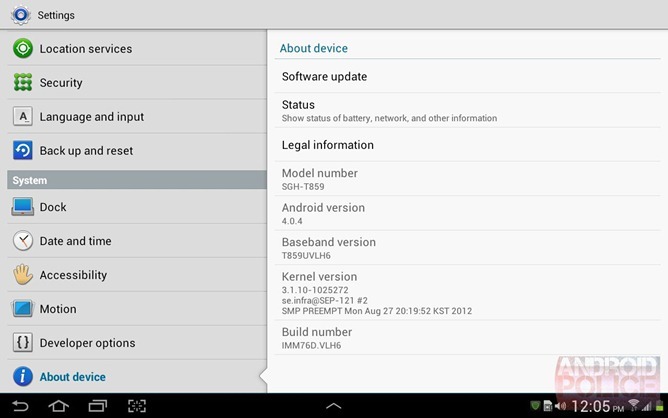 In a move that should make other carriers feel bad about themselves, T-Mobile has now made available ICS for the Galaxy Tab 10.1, as well. Just like the update for the 7.0 Plus, you can only pull it through Samsung's proprietary Kies software. This brings the Tab 10.1 up to build UVLH6 with Android 4.0.4, as well as a new, more intuitive version of TouchWiz. The update is available now, so fire up Kies and pull it down. Enjoy. Thanks for the screenshot, Robert!